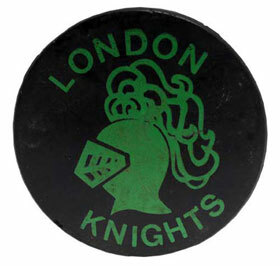 Puck used by London Knights forward Dino Ciccarelli to score his first OMJHL goal on September 29, 1976 versus the Kitchener Rangers. 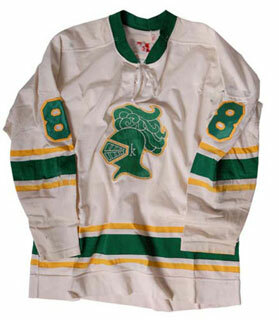 London Knights jersey worn by Dino Ciccarelli during his four-year OMJHL stint with the club from 1976-80. 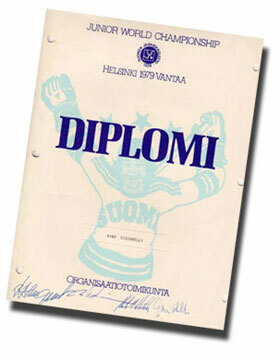 Team Canada member Dino Ciccarelli's participation diploma from the 1979-80 World Junior Championships in Helsinki and Vantaa, Finland. 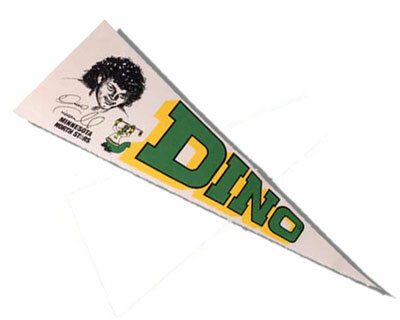 "Dino" white felt Minnesota North Stars pennant. 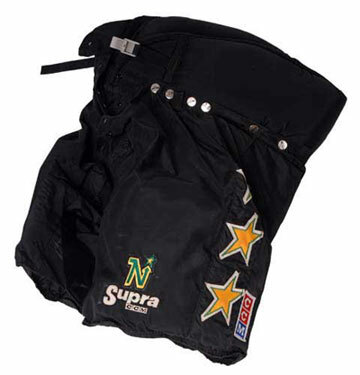 Minnesota North Stars team pants worn by Dino Ciccarelli during the 1988-89 NHL season. 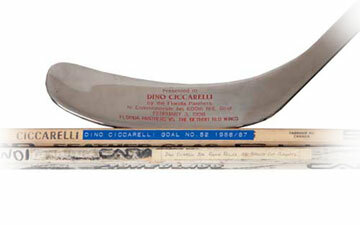 Commemorative sterling silver stick presented to Dino Ciccarelli of the Florida Panthers on the occasion of his 600th NHL career goal, along with his 52nd goal stick from 1986-87 as a member of the Minnesota North Stars and the stick he used in the 1981 Stanley Cup Playoffs to set a record for most goals and points by a rookie in one playoff year.